This entry was posted on 21st November 2018 by Judith. Seaweed has been used for centuries to improve soil and feed stock. The west coast of Ireland has abundant quantities of seaweed - soils on the Aran Islands are made from a mixture of sand and seaweed! 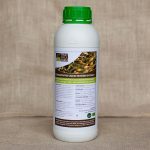 It is an amazing, natural product that is rich in trace elements, nutrients and alginate – and it has the added advantage of being a renewable and completely local natural resource. It is easier to harvest seaweed from above the low water line - it will be less wet. Limit your impact by picking lightly from several areas. Each patch of seaweed provides food and shelter for many small marine species. Pick no more than a third of the seaweed from any patch, and move on to another spot. 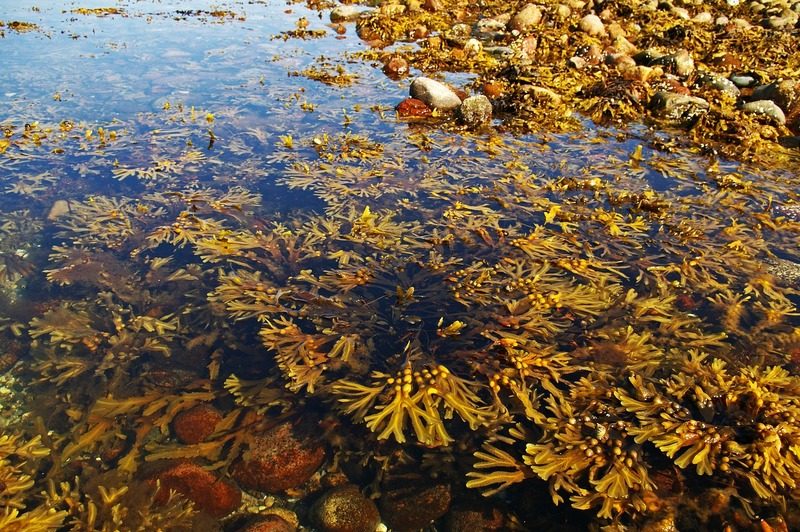 Higher water temperatures tend to slow down the growth of seaweeds. Most seaweed species grow fastest from January to May and are at their most productive during the Spring. Their growth rate slows down as the water temperatures rise from June to September, the slowest growth rate being in August. Once the sea temperature start to cool in the autumn, the growth rate starts to pick up again, particularly after November. If you are cutting seaweed do not take the entire plant but leave a good anchor of at least 20cms to facilitate new growth. Fresh Seaweed can be harvested and added directly to the garden, turning it in with a fork and letting the soil do the rest - this is best done after the seaweed has been thoroughly dried. Seaweed can also be composted – it is important to incorporate other matter with it to bring air into the heap. On its own the seaweed bogs down quickly into a thick slime, impermeable to gas exchange, leading to anaerobic digestion and very slow, smelly compost. Fresh seaweed also makes a very good mulch. Be sure to use a good thick layer as it shrinks quite quickly after a few dry days! It is very useful for covering Green Manures if you do not want to dig them in. Dried Seaweed can be used in the same way. In its dried form it is easier to handle and can easily be incorporated into the soil or put into the planting hole prior to planting. In its dried state as a meal, Seaweed can also be given to animals as a natural conditioner. Seaweed contains almost every micro-nutrient in a fully chelated (immediately available) form. It is also full of carbohydrates, which plants use as a building block. Seaweed has 60 trace minerals and ready-to-use nutrients including nitrogen, potassium, phosphate, calcium, boron, potash and magnesium. Alginate (a water-insoluble gel) is present in seaweed at levels of between 16% and 26%. Microbial population size has been found to increase dramatically in the presence of alginate gels. This is why seaweed is an excellent compost activator - the rate of composting is increased by the increased microbial activity. Alginates also absorb large volumes of water thus increasing the moisture in the soil. Besides aiding soil nutrition, seaweed also stimulates soil bacteria while increasing soil structure, aeration, and moisture retention. Additional effects on plants are improved seed germination, increased nutritional value, more extensive root systems, and a greater resistance to pests like nematodes. 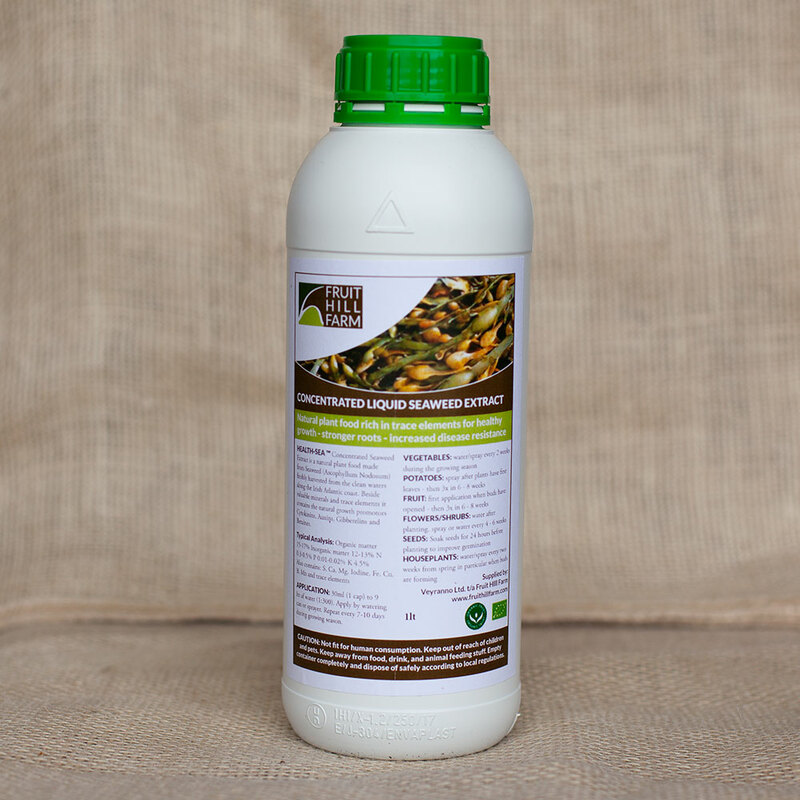 Regular dressings with seaweed promote healthy growth and increased yield in fruit and vegetables, and longer lasting, richer coloured flowers. Another major component in seaweed is the hormones. The main hormones in seaweed are auxins, cytokinins, betaines and gibbelerins. These hormones are essential to plant health. Plant hormones control the speed of growth, initiate basic growth processes, stimulate root formation and help the plant when under stress. Fresh seaweed makes wonderful mulch. Like all mulches, fresh seaweed helps to keep soil moist thus reducing your need to water the garden. An application of seaweed will reduce how often you need to weed. It contains no weed seeds. Seaweed is a useful form of pest control. Slugs especially hate seaweed because of its sharp edges and salt. Birds and other garden pests dislike it for the same reasons. Seaweed also helps aerate the soil just like peat moss does, but it has the added benefit of delivering nutrients and minerals and being sustainable. Being totally natural and of vegetable origin seaweed is easily digested and is safe to feed to animals of all ages. Seaweed builds resistance to disease by ensuring a complete balance of micronutrients. The organic trace elements found in seaweed are more readily assimilated than in synthetic form. Seaweed assists nutrient absorption, healthy growth and animal performance. It provides essential roughage and contributes to maintaining healthy intestinal function. Adding seaweed meal to livestock feed can substantially reduce methane emissions from cattle. Please see article in Irish Times. 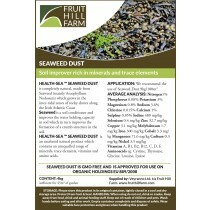 We stock seaweed dust and meal as well as liquid seaweed. 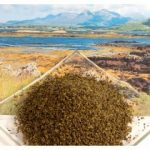 The seaweed used is Ascophyllum Nodosum or knotted wrack and is harvested from the Connemara coast in the West of Ireland. Ascophyllum Nodosum grows in abundance along the west coast of Ireland. The seaweed is harvested at low tide, when the shore is most exposed. Ascophyllum attaches itself to rocks on the seashore, and is hand harvested using a sharp knife or sickle. Care is taken not to cut the entire plant, allowing 20cms to remain attached to the rock. Harvesting is carried out in strict rotation to allow the Ascophyllum Nodosum plant to re-generate. 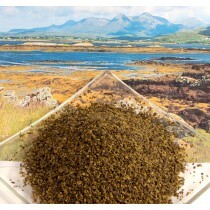 Seaweed is harvested, washed, milled, dried, and milled again before screening and bagging into different products. Four tonne of "wet" seaweed is required to produce one tonne of seaweed meal. Available in 25kg or 4kg bags. Calves, sheep, 50 - 75 grams per day goats, etc. Dogs 20 - 30 grams per day. 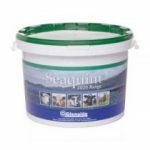 Seaweed is also available as a mineral lick in 25kg tubs. It is naturally high in iodine and contains all the minerals and trace elements an animal requires for a normal healthy life. Available in 1lt, 5lt and 20lt containers. Triple strength for economic use (dilution 1:300 - 1:400). Liquid seaweed solution promotes additional budding if applied as the plants are beginning to bud. It extends the shelf life of fruits and vegetables if applied 10 days before harvesting. Liquid seaweed solution can also be used as a rooting solution. Place cuttings in a solution of liquid seaweed and water until roots develop, then plant. When planting seeds or transplanting, water with the solution. If applied to pasture crops, liquid seaweed solution increases the nutrient uptake, the protein content and overall quality of the crop. There is no waiting time if animals are to graze.